Come home to this stunning custom built home in Heron's Landing. 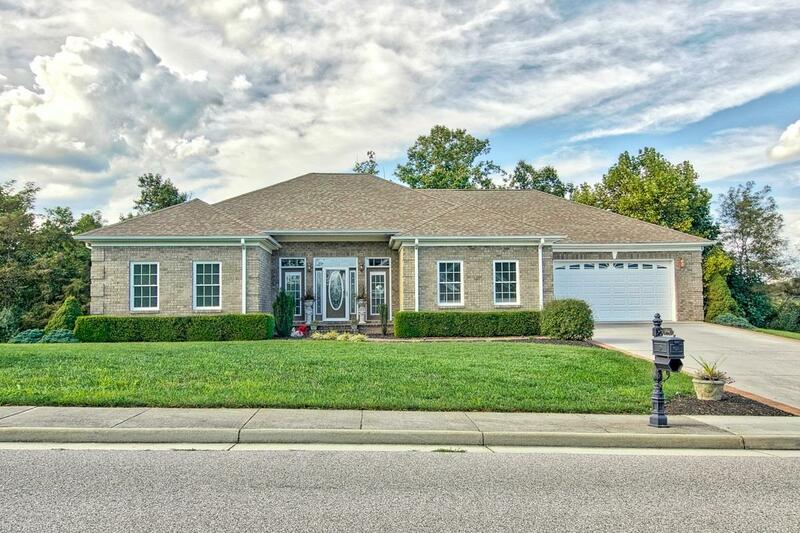 Built on one of the premium lots, this outstanding all brick home offers one level living with hardwood floor throughout plus an incredible amount of space and flexibility. The foyer gives you a glimpse of the fine details which include high ceilings and custom trim work. The large open living room has 12' ceilings and a cozy gas fireplace. Continue through to the formal dining room and a gourmet kitchen complete with custom cabinetry and stainless steel appliances. The breakfast nook and reading den open to a fantastic large deck overlooking the private backyard which is great for entertaining. Spilt bedroom design offers three nice sized bedrooms on one side with the large private master having hardwood floors and a walk-in closet like no other on the other side. The master bath comes complete with two separate vanities, a spa tub and custom shower. Venture downstairs to find the ultimate family room.